According to the company, its new, smaller products have been developed in response to consumer demand and address previous barriers to purchase, in what it regards as an underdeveloped segment of the market. 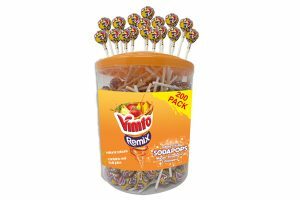 Consequently, its Skittles Chewies and Starburst minis are the latest additions to its extensive confectionery range, which is presently valued at a total of £48.7m. 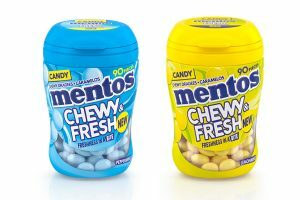 The company described its Chewies brand as ‘Skittles fruits without the shell,’ and marks the latest innovation to hit the market for one of the UK’s largest sugar confectionery manufacturers. The removal of the crunchy shell is said to create a soft fruity texture and provides a unique offering. With a lighter texture and less intense flavour profile, it has been designed to appeal to consumers looking for the original flavours associated with Skittles in a new, delicate texture format. 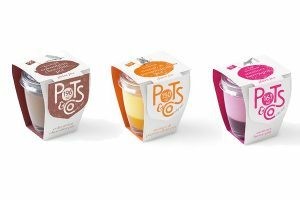 The product has been developed with distinctive pink packaging to differentiate from the core range, and will be available in single bags and sharing pouches. A comprehensive £1.2m media campaign will support the launch of Chewies. 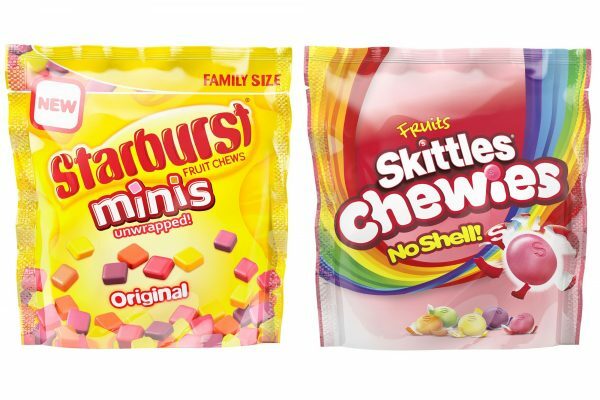 Its Starburst minis have been designed to tap into alternative consumption occasions for the brand, with the company confirming they have already proven success in the US, worth a total of $30m.